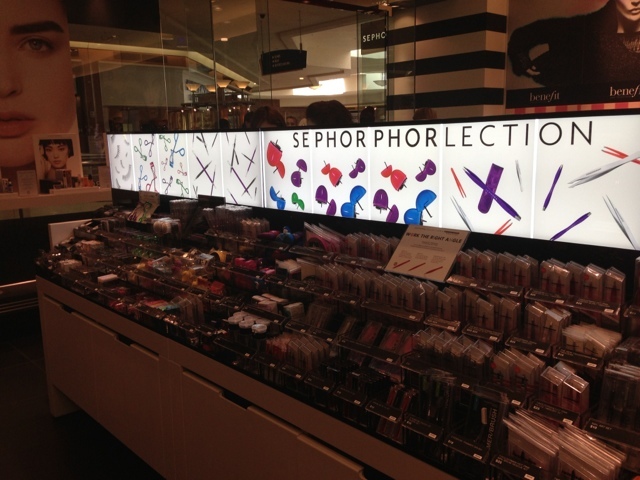 JC Penney’s (words I never thought i would be saying) and check out Winston- Salem’s very own stand alone Sephora. 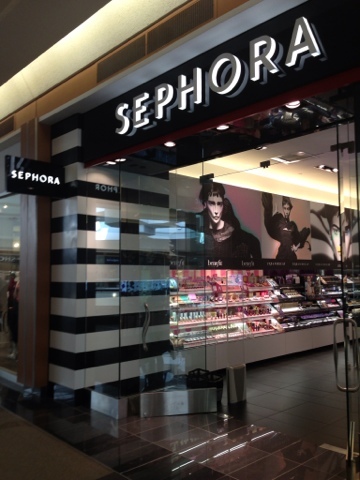 A place to go by any beauty product you might need, Sephora has it all. As I walked in I had forgotten that Sephora has a tool for every Beauty need you could come up with. There is something about a Sephora that makes me forget I’m in Winston-Salem and makes me think I’m in the big city. 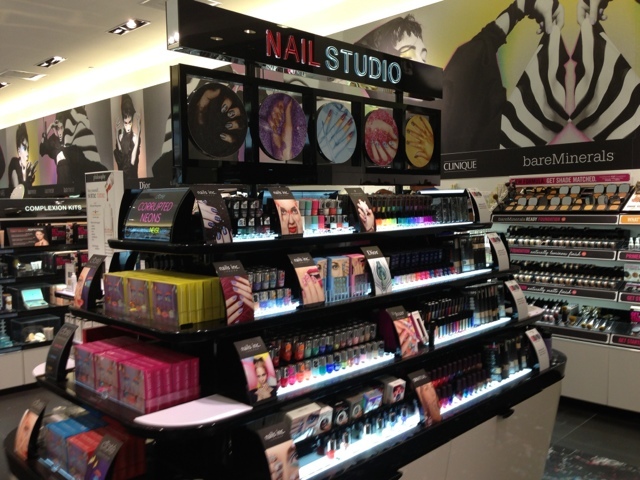 Nail polish and design is all over the fashion and beauty blogs right now and Sephora has 1001 options for any nail fanatic. 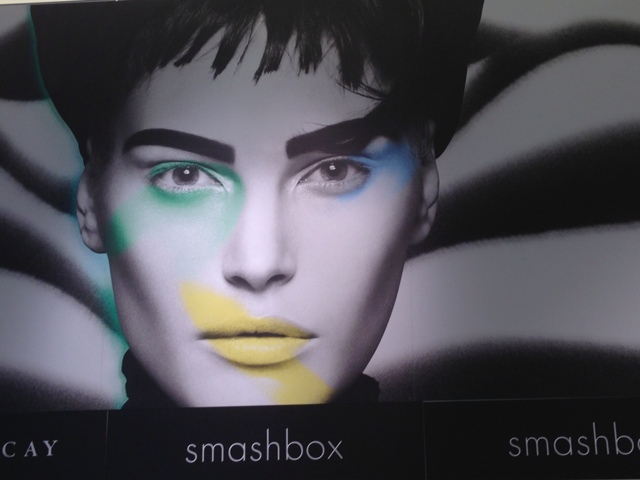 My favorite type of makeup is Laura Mercier and I was thrilled to see the display. 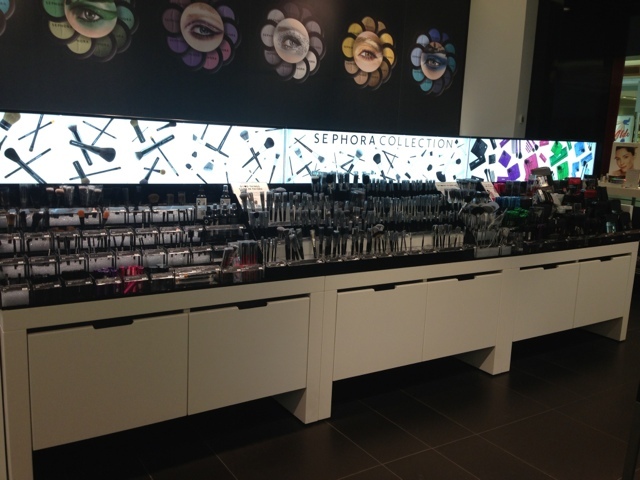 This is my favorite part about Sephora you can look at the whole line without having to ask for help. Look at all the choices. I felt like a kid in a candy shop. So although we still don’t have some big stores I’m thrilled that we have our own stand alone Sephora that I can experiment with all kinda of skincare, nail care, and beauty needs.